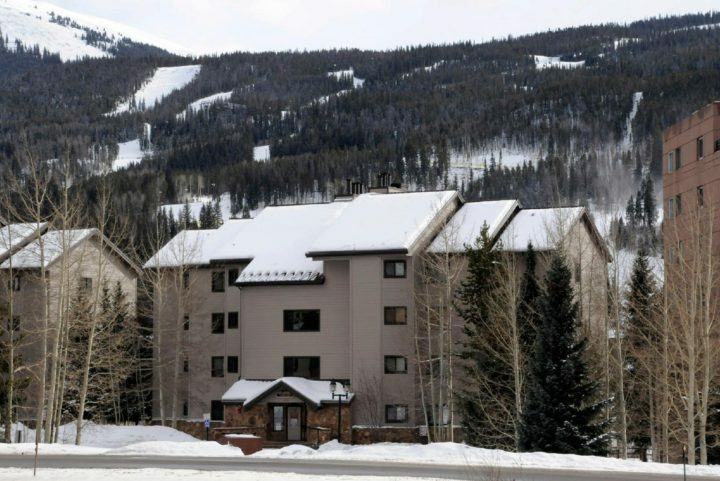 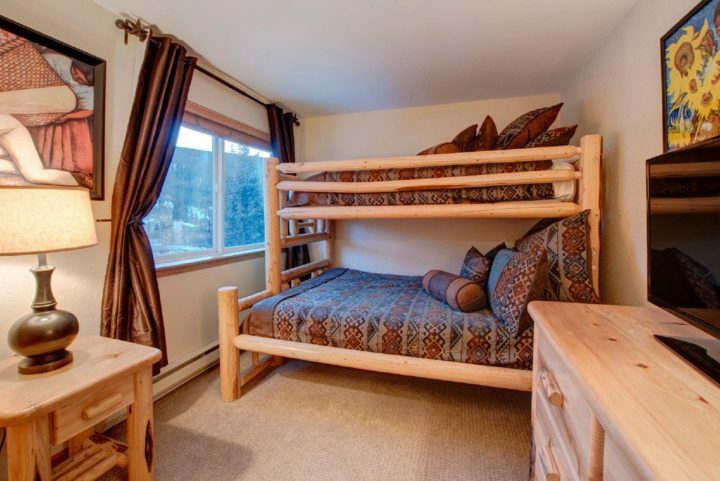 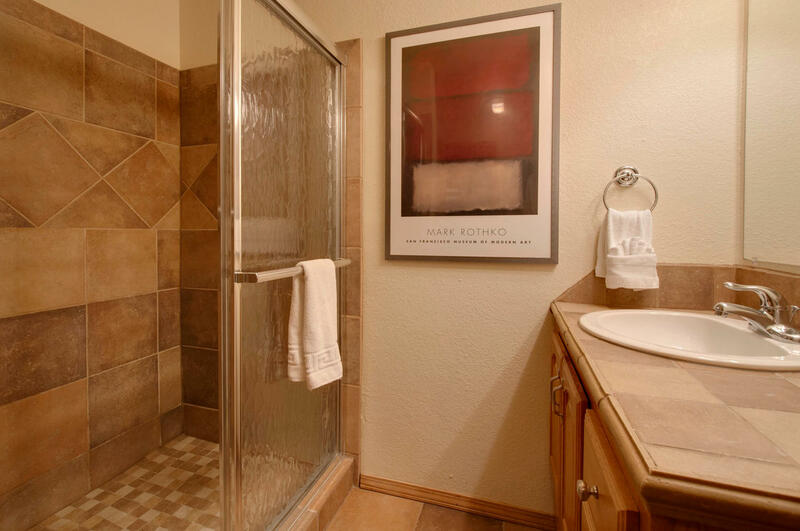 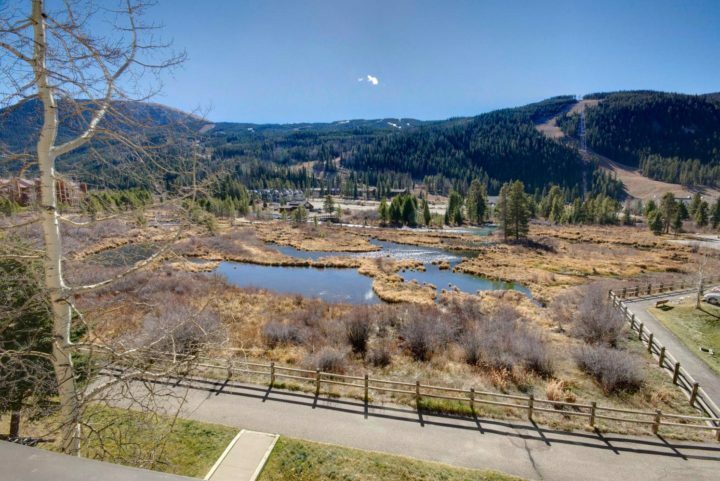 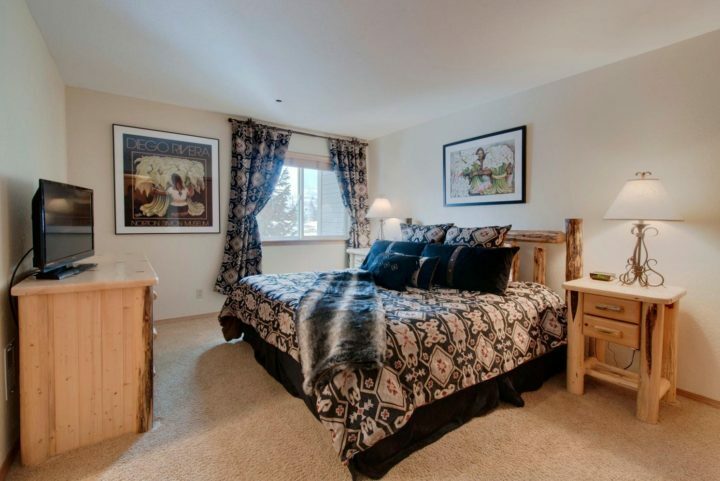 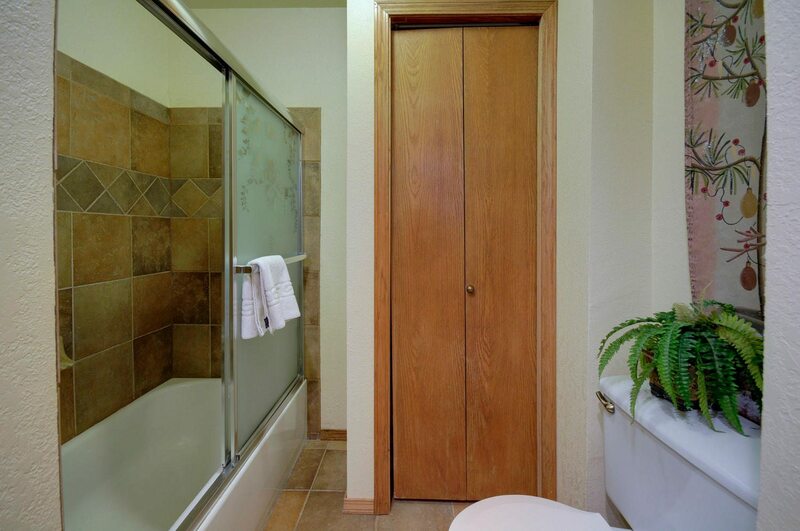 3BR/3 Bath unit in the ski area. 6-person private hot tub right in the unit. Windows open for cold air. Another wide-angle shot from the private deck; ponds are much closer in actual view. 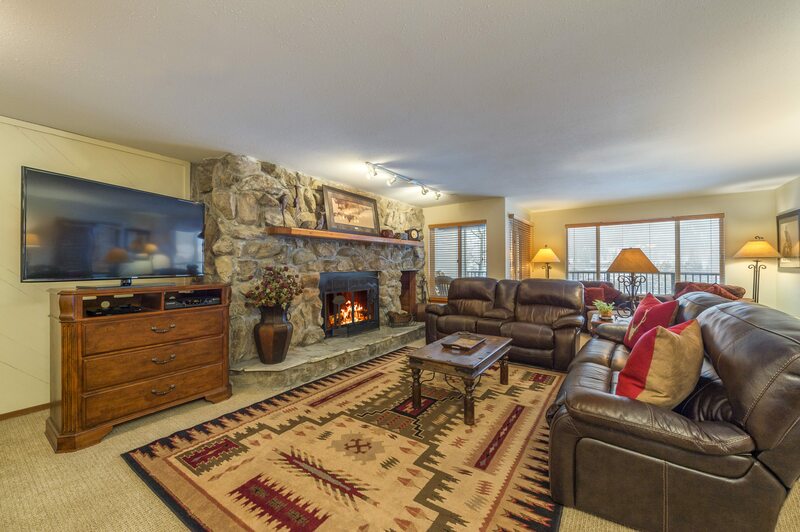 Living room with stone fireplace (wood provided) and big screen TV/DVD player. 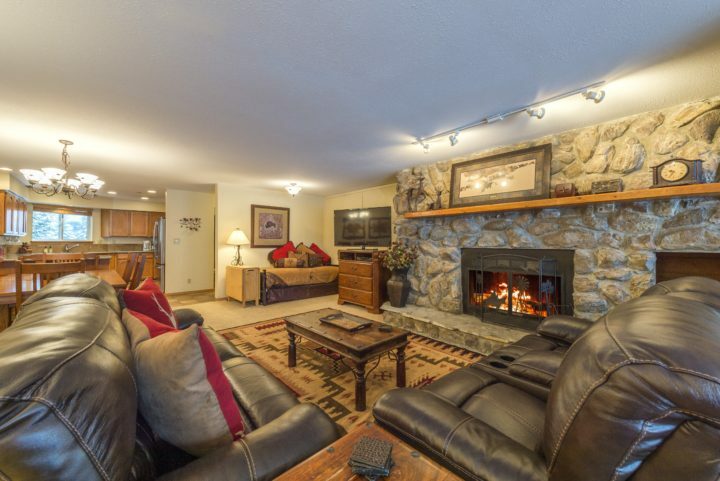 The sofas have 4 fully-reclining seats (just press the power button by each seat). 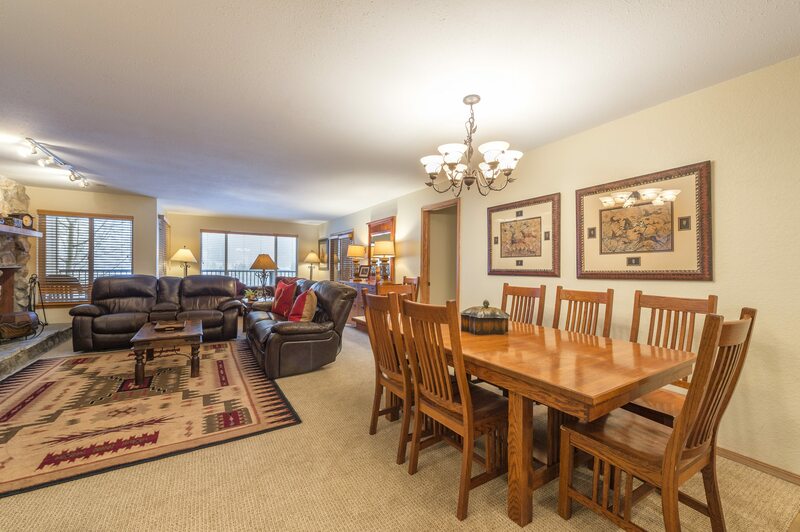 Unit seats 11 in dining area (8 at table + 3 at eating bar); flip top side table seats 4 more. 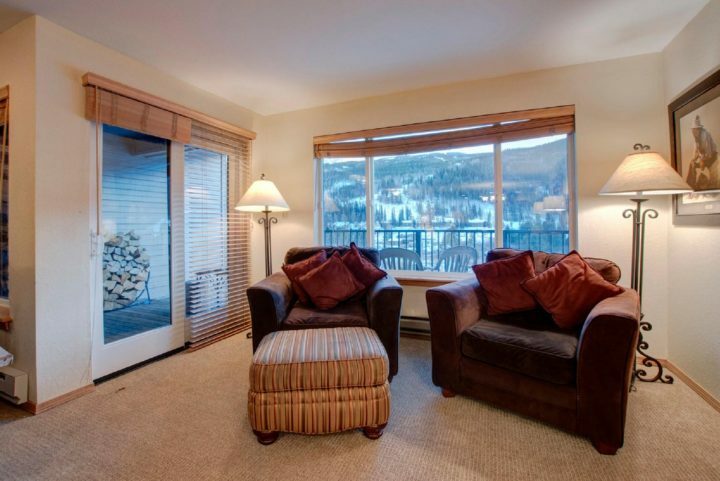 Windows open for cold air in winter. Great view - summer (ponds with the river winding through) or winter (ski runs). 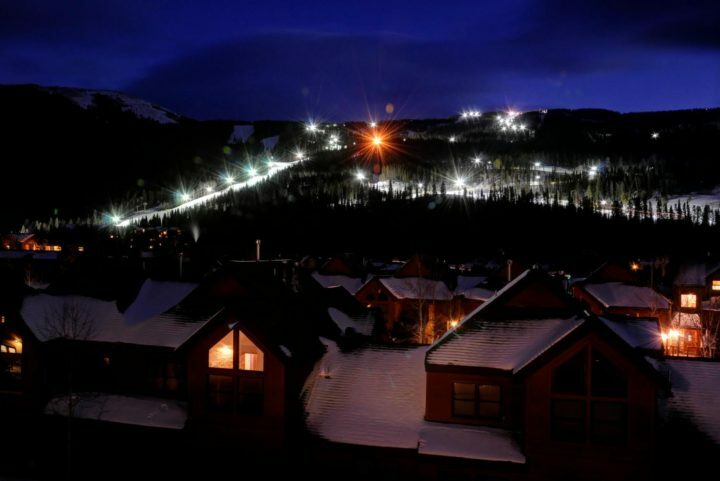 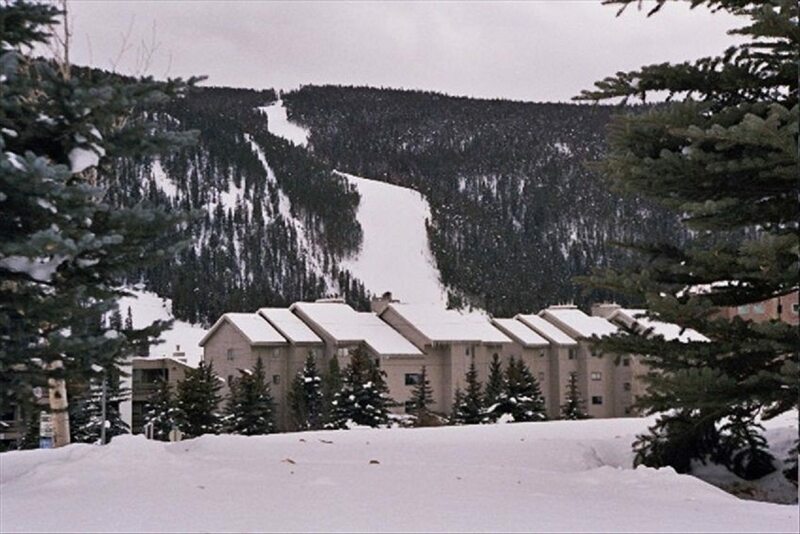 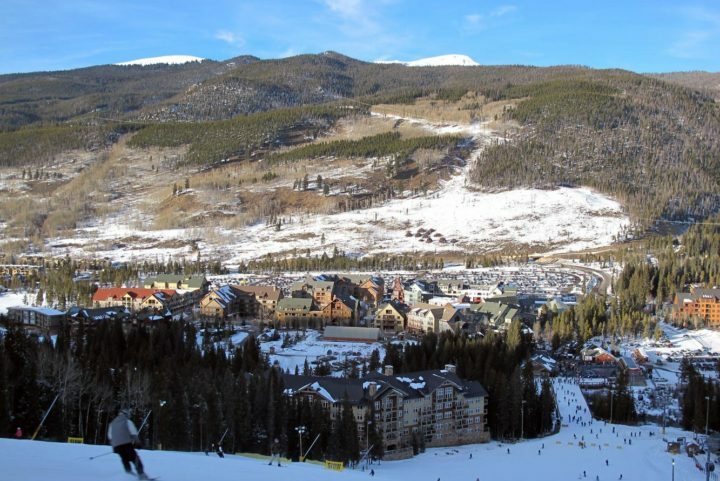 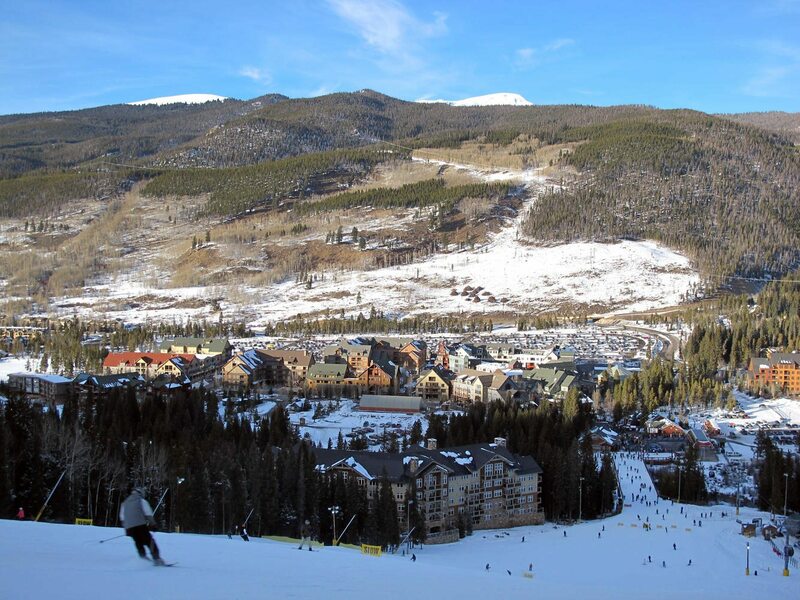 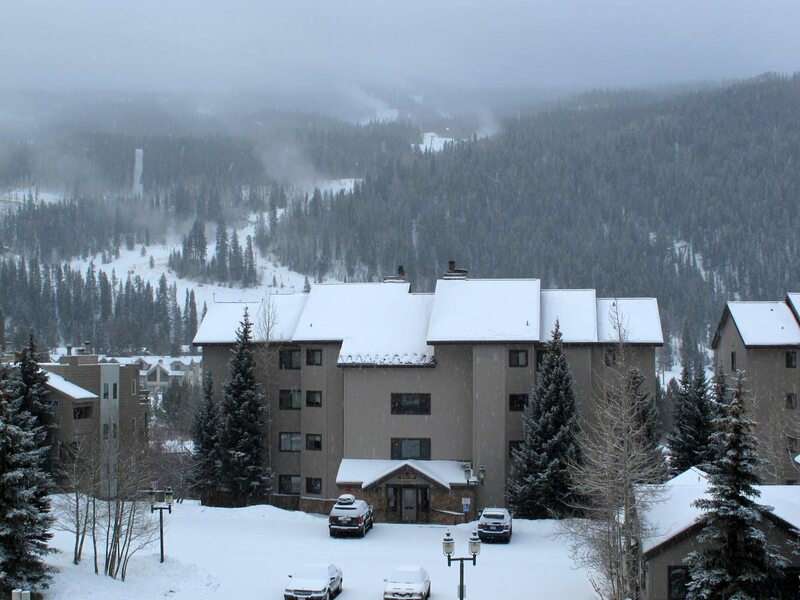 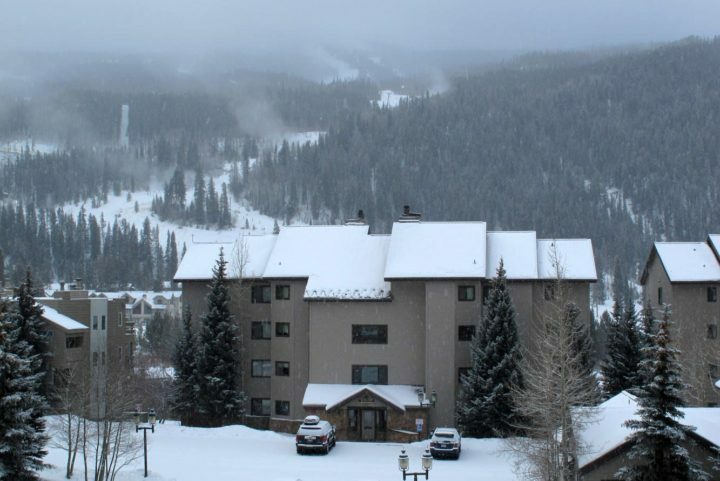 Take the Peru lift up to ski down to Keystone's 2nd base area, River Run Village (you can also shuttle over or walk). 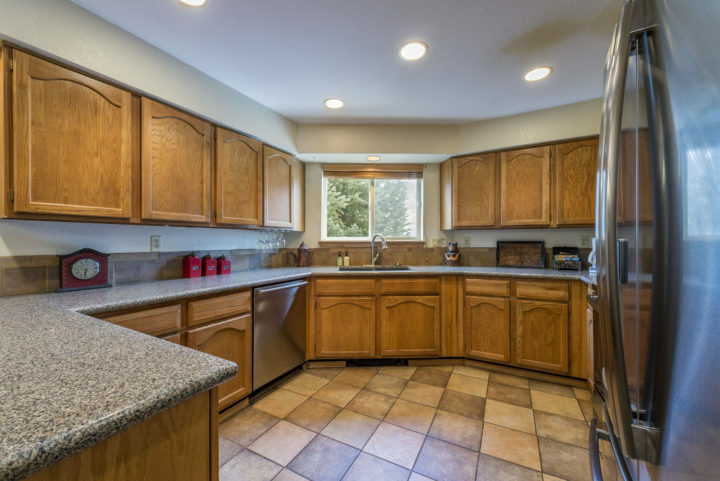 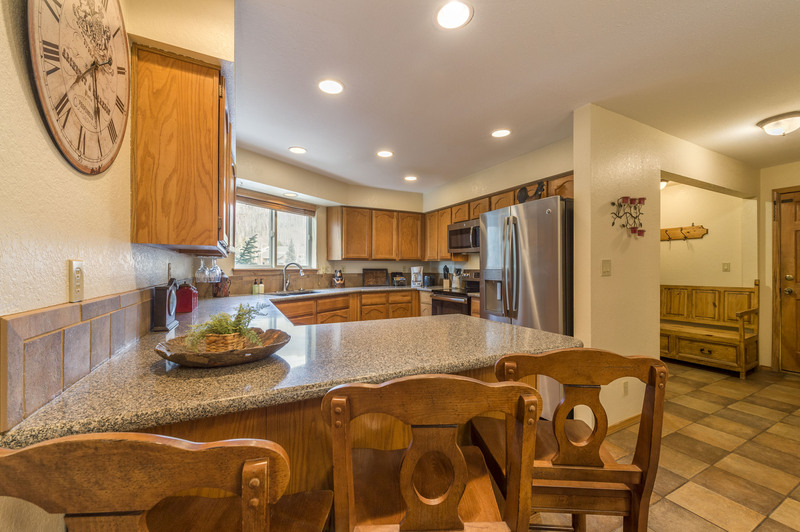 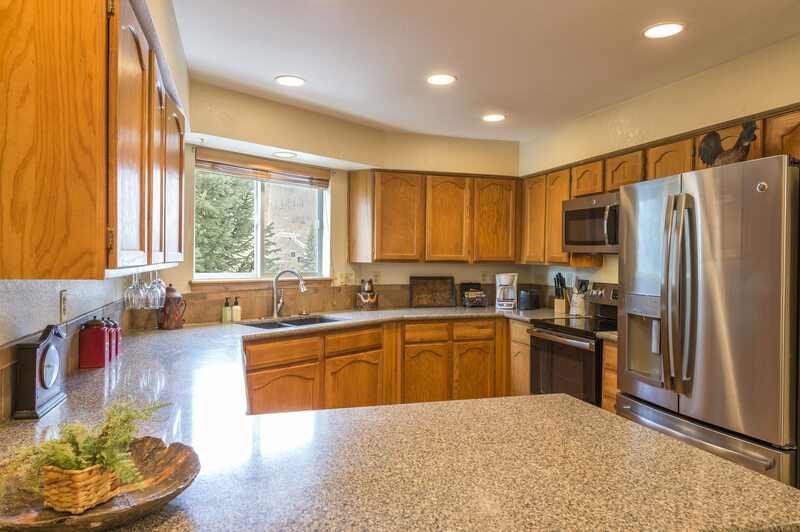 Very spacious 3 BR/3 BA condo (7 separate beds; sleeps 12-13) in secluded location by the protected wetlands along the Snake River. Walk to the Mountain House lifts. 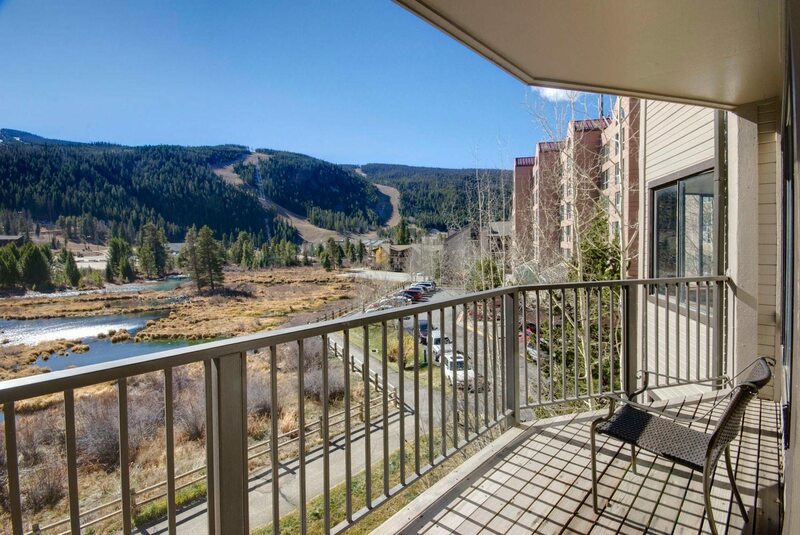 Best view in the resort (view of ski runs in winter–day & night; view of river, beaver ponds, and mountains in summer). 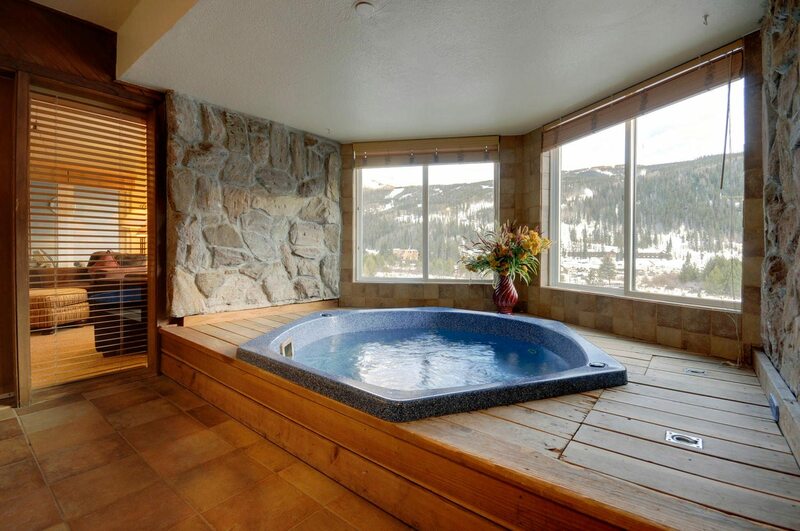 Private Hot Tub in the condo, built into a bay window that juts out from the building so you have the same panoramic view from the tub itself. 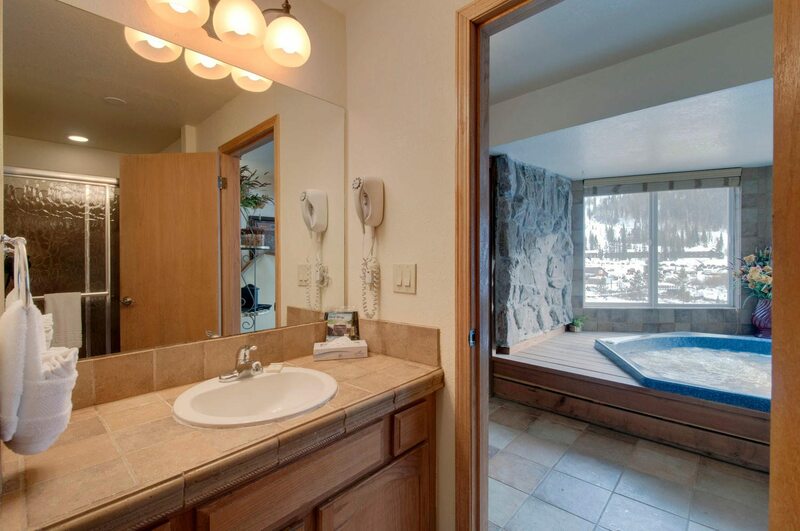 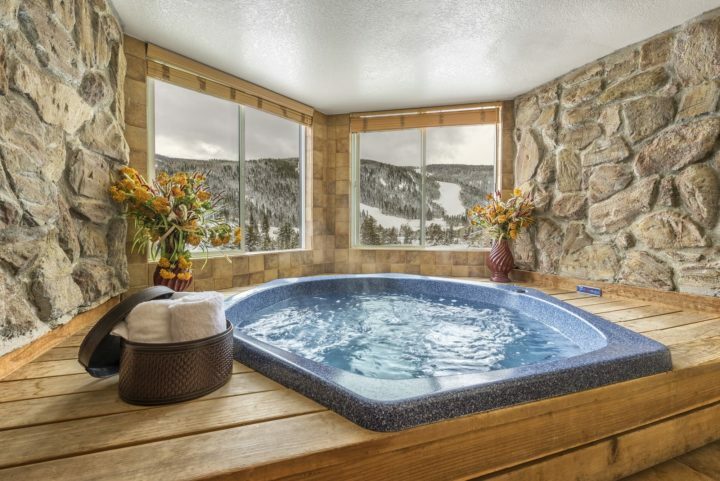 Hot tub room also has operable windows for cold air when in use. Great Room area is about 1000 square feet with a wall of windows on the south end where the view is. 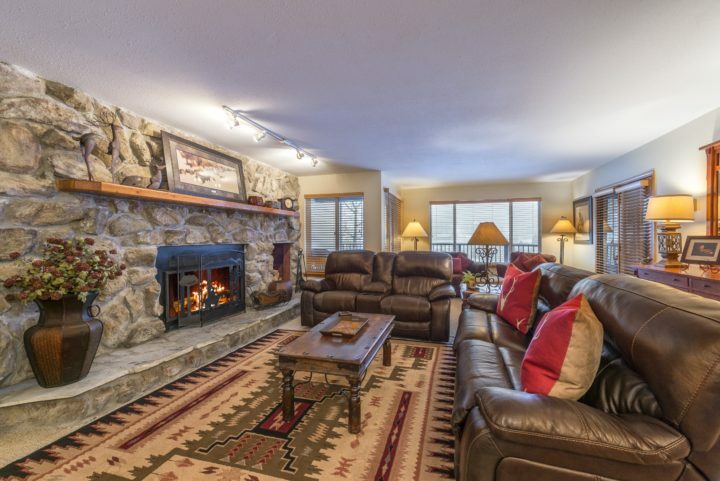 Stone fireplace (wood provided). 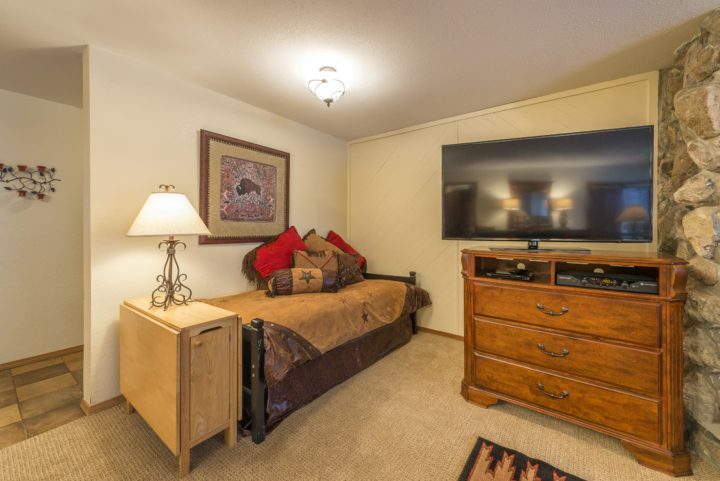 Big screen TV in living room (3 more TV’s in bedrooms). 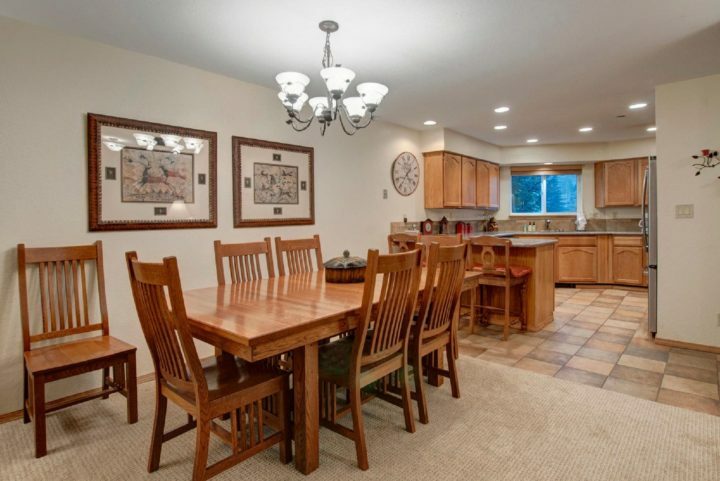 Oversize kitchen and dining area. Washer/dryer in unit. 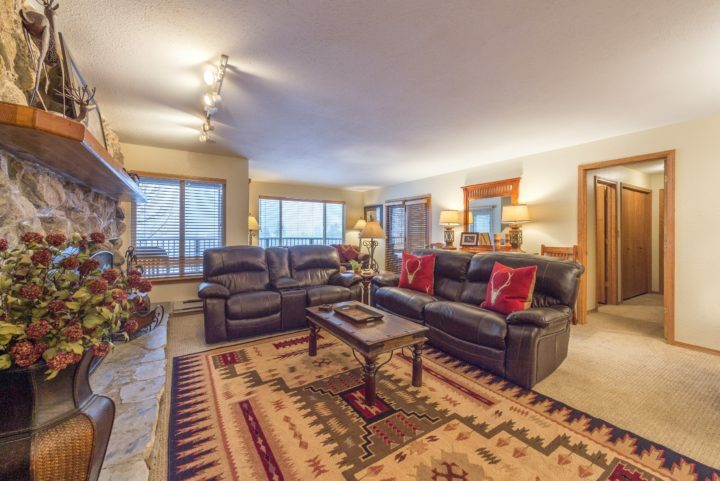 This building has only 2 condos per floor (with a hallway and elevator shaft separating them), so each condo has only one neighboring unit (very quiet). 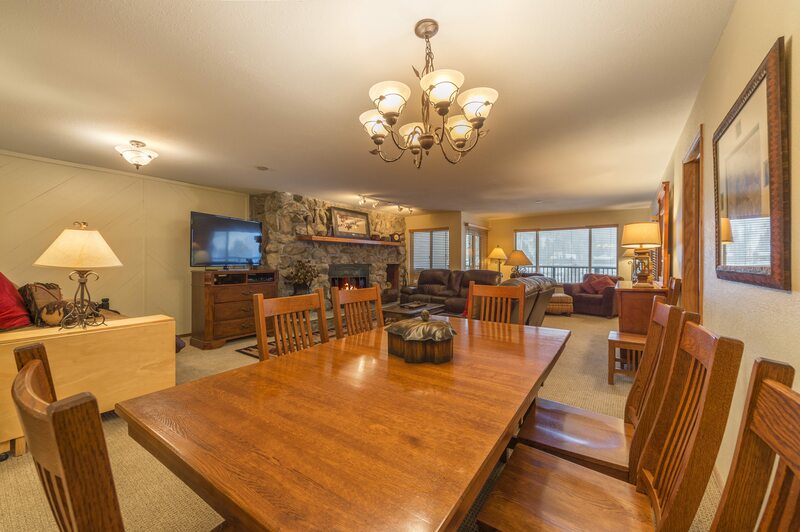 Unusually private and secluded unit (borders on the protected river wetlands), but very close to activities. 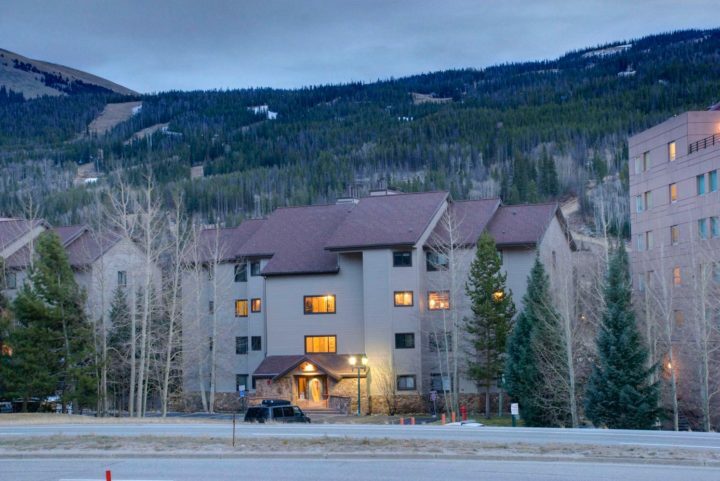 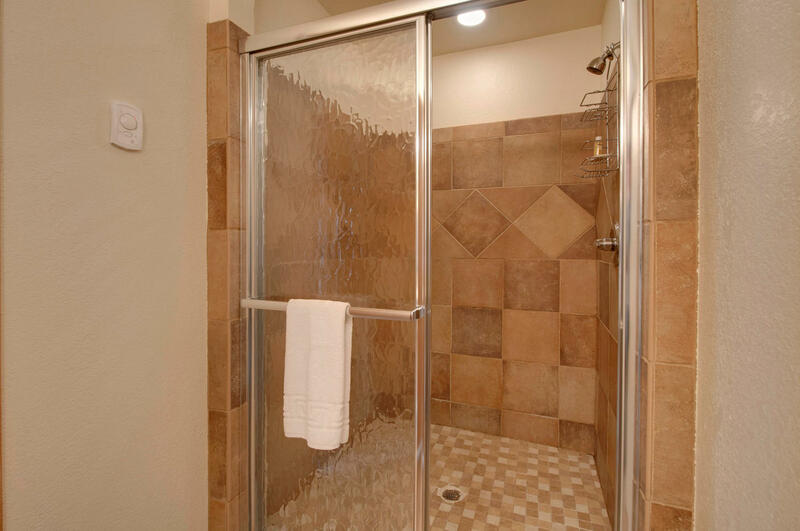 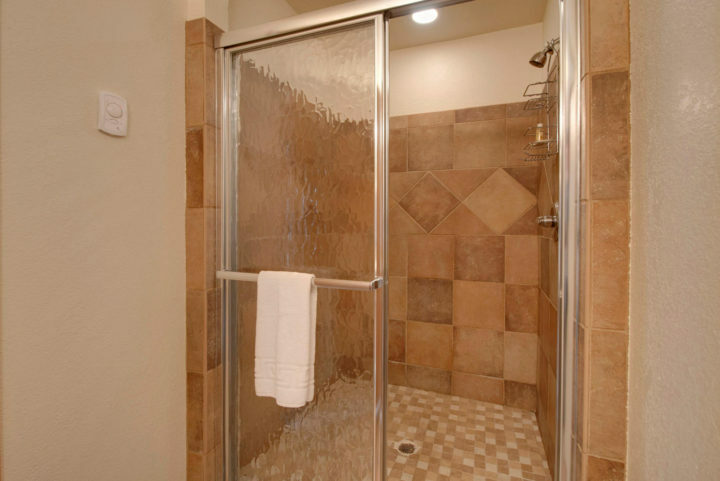 Walk to the Peru Express lift, 7 restaurants, delicatessen, 2 night spots (live music), internet/sports cafe (12 HDTVs), full service day spa (massages, facials, etc. 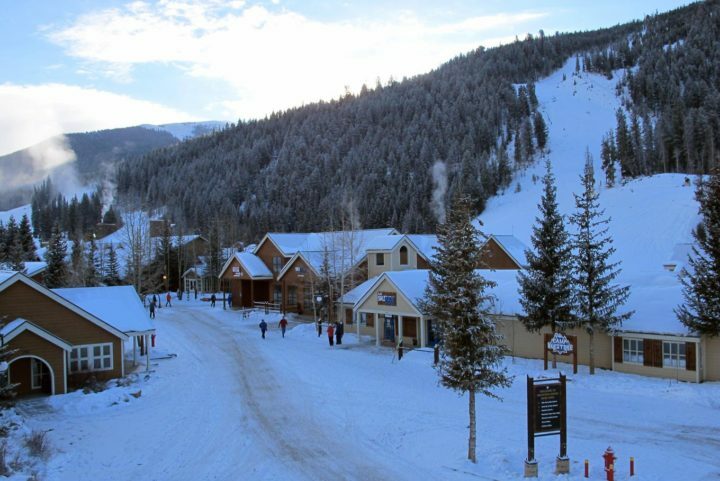 ), 4 ski shops, and a convenience store). LR–Twin day bed + Twin trundle bed. 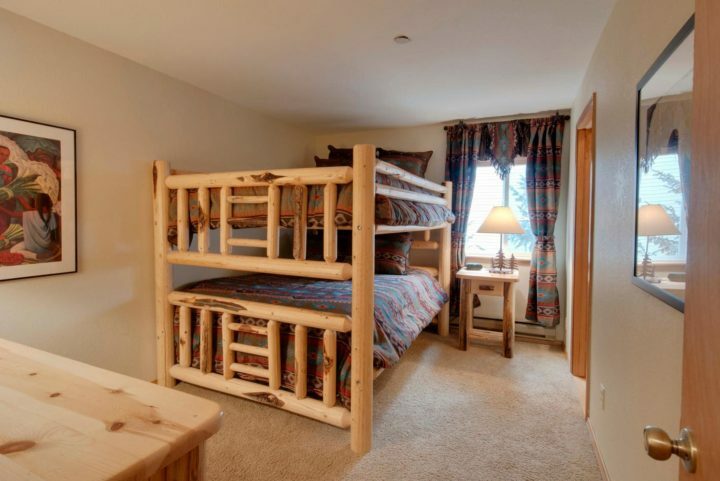 Check-in time for this unit is not until 4pm. Early arrivals cannot be accommodated.